April 12, 2019 Star Wars Jedi: Fallen Order is single-player only. “No multiplayer, no microtransactions, it’s a story game.” That’s what Respawn chief Vince Zampella had to see in front of a crowd very excited about Star Wars Jedi: Fallen Order, confirming what we’ve been hearing – and hoping – about the game ever since it was announced at E3 last year. We first heard rumours about Fallen Order’s story focus in a podcast a few months after the game’s reveal, and more recently noted insider Jason Schreier has specifically called it out as a “single-player action-adventure game.” As we await a full reveal and the Fallen Order release date, a new interview with Chris Avellone earlier today let us know that the game’s narrative aspirations are so big it’s got a half-dozen narrative designers. Chris Avellone was confirmed as one of the Fallen Order’s writers last month, but the lead narrative designer is Aaron Contreras, who also led story on Mafia 3. The third Mafia was flawed game, to be sure, but it was no slouch when it came to story – especially in the more tightly scripted opening and ending segments. 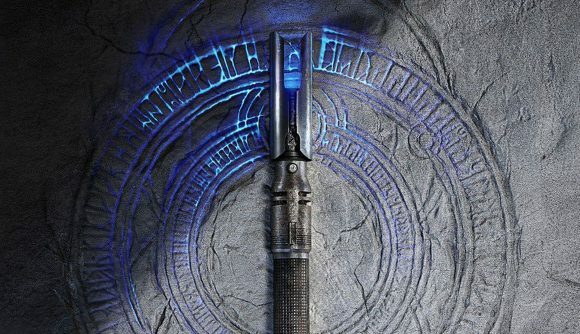 We’ll see much more at the Star Wars Jedi: Fallen Order reveal panel tomorrow. Rich is convinced it’s basically going to be a new Jedi Knight game, and I certainly hope he’s right. It’s been so long since we’ve seen a Star Wars game focused on telling a new story in the galaxy far, far away that nothing could make me happier.